If you don’t work in the comics field (or are not a diehard comics fan), you may not have even heard of this man. Or, if you have, you know of him as a legend. 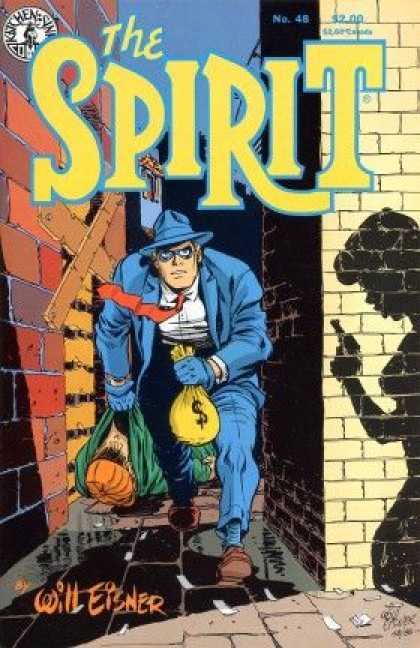 Aside from being a prolific comics artist himself, Eisner was one of the first to advance the study of comics as (a uniquely American, but also fully recognizable) art form. He coined the terms “graphic novel” and “sequential art,” which are now part of both the practice and scholarship of this odd new-old medium. I first encountered Eisner when, much to my sputtering amazement, one of my books was nominated for the award that bears his name. As I was called up on the stage, Eisner stood off to the side, grinning broadly through the entire ceremony. I remember shaking his hand, frail and gaunt, and his muttered words of encouragement. He was there as a father to the whole shebang, comics as they are known today, including aspiring indie types like me. I was too overwhelmed to fully absorb what he said to me, but I do recall it was something to the effect of “very interesting!” (Could it be that he’d actually read my book, I wondered? It might be that he was pleased to see diversity of subject matter and creators being recognized—or was just being polite—or both.) Neil Gaiman introduced him that year in a brief speech recognizing his massive contribution to comics, saying, “There was a time when people thought of Will Eisner as a weirdo and an oddity.” Eisner’s persistence, his vision, and his sheer cheerfulness brought not only validity to an entire medium: they established him permanently as its grandfather figure.